If you are looking for realistic berries, Amazing Produce is here to help. 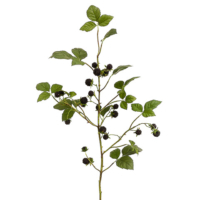 We offer an artificial blackberry and a faux blackberry branch, with high quality material. Specifically, our berries look very realistic are perfect in shape and color. 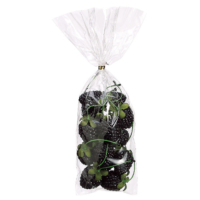 Use these blackberries to shape your decorative ideas with a creative touch. In fact, they look very real and are perfect for any decor project. Faux blackberry branches are a popular to decorate with. Our blackberry branches are specifically made for such use. With authentic looking blackberries and small refined leaves, our blackberries are the right choice. As a result, we assure the quality of material as described for long term use.